JavaFit Cinnamon Hazelnut Cream es una manera nueva, de gran sabor para apoyar los niveles saludables de energía en el tiempo de la mañana o en cualquier momento del día en que necesita un impulso de energía extra con una deliciosa canela , aroma avellana. 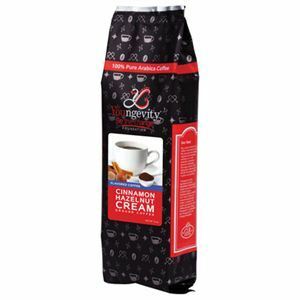 If our hazelnut cream mixture has become a favorite in your home or office, you will like cinnamon hazelnut cream mixture JavaFit. Add some excitement to your cup of coffee with sweet hazelnut and cinnamon spice, which also will provide a sweet scent in the air helping -and -go get-up. JavaFit coffees are made from pure natural ingredients that help you stay healthy and energized at any time of day. Unlike other artificial sweeteners made from flavored coffee, YBTC Coffee – Crema Canela hazelnut flavor is made of pure and natural ingredients, which help you to stay healthy and energetic. This flavored coffee gives you a delicious taste of cinnamon hazelnut, adding a sweet your morning cup of Joe and provide healthy energy levels for any time of día.YBTC Coffee aroma is grown and harvested in our own plantation in the high mountain region of the Nicaraguan jungle. It is grown under the highest standards guaranteeing the best pure Arabica 100% Rainforest Alliance Certified, Fair Trade Certified and ecological coffee is produced.